Mark McKay is a sport anchor and correspondent for CNN International. He anchors 'World Sport,' CNNI's global sports wrap-up show, and is based at the network's world headquarters in Atlanta. During his career McKay has interviewed luminaries like Michael Jordan, Shaquille O'Neal, Manny Pacquiao, Barry Bonds, Cal Ripken Jr., NASCAR's Richard Petty, and track and field stars Michael Johnson and Marion Jones. McKay has covered some of the world's top sporting events including the Olympic Winter Games in Vancouver ('10) and Torino ('06), and the 2004 Summer Olympic Games in Athens, Greece, where he was CNN's lead correspondent on the ground. He also reported from Berlin, Germany during the 2006 FIFA World Cup. 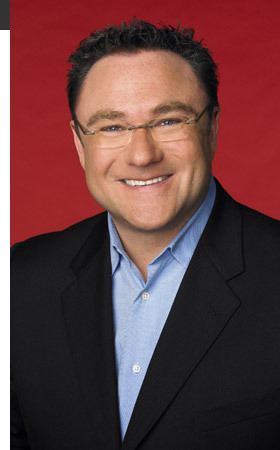 McKay began his career at CNN in 1985 as a sports anchor for CNN Headline News. From 1990 to 1996, he served as an anchor for several CNN programs including "CNN Morning News," "CNN Sports Tonight," and "CNN Sports Late Night." In 1996 and 1997, McKay reported for CNN Sports and CNN/Sports Illustrated covering Major League Baseball, golf and NASCAR. When the 1996 Olympic Summer Games came to Atlanta, McKay was the first to report live from the scene of the Olympic Park bombing in downtown Atlanta. His contributions to CNN's continuous coverage helped the network win a 1996 Emmy Award for News and Documentary reporting. Before joining CNN, McKay anchored and reported sports for WECT-TV in Wilmington, N.C. McKay's television career began at the age of 19 by holding down the dual jobs of sports director, anchor, and reporter at WKFT-TV in Fayetteville, N.C. Prior to television, he worked as a radio disc jockey at WFLB-AM in Fayetteville, N.C where McKay graduated from Terry Sanford Senior High School. Follow Mark on Twitter @mckaycnn.